Distribution: Orders will be distributed at Cougar Headquarters 2-3 weeks after you place your order. All signs will be ready before graduation. 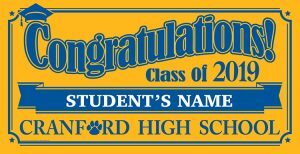 Project Graduation 2019 Cranford High School Lawn Sign. 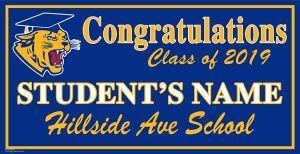 Project Graduation 2019 Hillside Ave School Lawn Sign. Project Graduation 2019 Orange Ave School Lawn Sign. Project Graduation 2019 Bloomingdale Ave School Lawn Sign. Project Graduation 2019 Brookside Place School Lawn Sign. Project Graduation 2019 Hillside Ave Elementary School Lawn Sign. 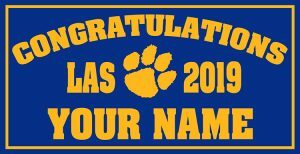 Project Graduation 2019 Livingston Ave School Lawn Sign. Project Graduation 2019 Orange Ave Elementary School Lawn Sign. Project Graduation 2019 Walnut Ave School Lawn Sign.